If you have ever been inspired by Japan there is a good chance that you will love Japanese style dinnerware, plates, dishware, tableware and bowls as much as I do. We love travelling to Japan, and having Japanese plates in our home kitchen help to bring back those lovely travel memories – and adds a great Japanese influence to our dinner table. 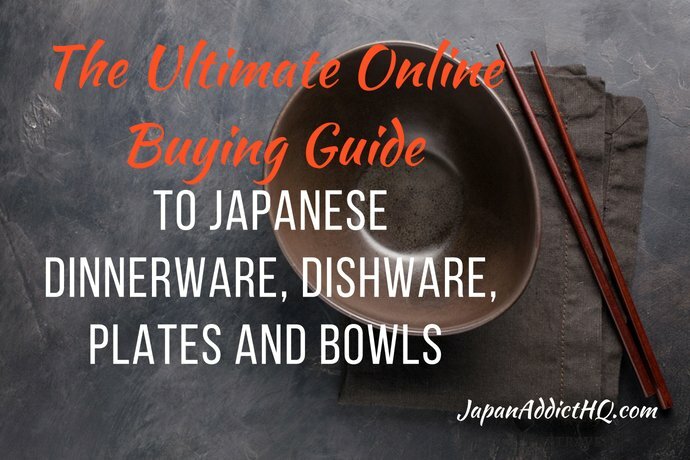 You will be pleased to learn that Amazon sells a large range of Japanese tableware, including items which have both been manufactured in Japan or inspired by Japan. 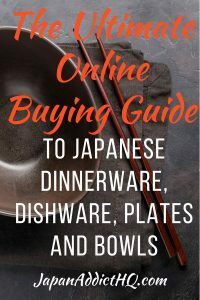 I have therefore done the homework for you – here is a great selection of Japanese dinnerware, plates, dishware, tableware and bowls which are available through Amazon.com and other Amazon stores. All recommended items are able to be shipped internationally. The majority of Japanese dinnerware sets include sushi plates, wasabi dipping bowls, bowls, with some also containing chopsticks and spoons. Here is a selection of great options! The Happy Sales 10 Piece Blue Dragonfly Dinnerware Set is made of porcelain and is made in Japan. The set includes two sushi plates 8.5″ x 5″, two rice or soup bowls 4.5″ diameter and 2.5″ tall, two wasabi plates 3.5″ square and 1.25″ high, two spoons and two sets of chopsticks. Click here to check out the price on Amazon. The Miya Kosui Sushi Set in green is stoneware made in Japan. This set includes two 8.75″ x 5″ plates, two 3″ square sauce dishes and two pairs of chopsticks in a black gift box. Click here to check out the price on Amazon. The Sendan Colors Navy Blue Sushi Set for two people is stoneware made in Japan. This set includes includes two plates (approximately 8″ by 5″ each), two sauce dishes (3.5″ in diameter) and two pairs of chopsticks packed in a gift box. Click here to check out the price on Amazon. The Smiling Blue Cat Porcelain Noodle Bowl is made of porcelain and is made in Japan. This item is sold individually, and this particular bowl is 7.25″ in diameter. Be aware that there are a large number of options in this range, and you can also purchase similar bowls in 4.5″, 5″, 5.75″, 6″, 6.75″, 7.25″ and 8.5″, as well as matching plates or dishes in different sizes including 4.75″, 6.5″ and 7.75″. Click here to check out the prices on Amazon. You can also purchase the full range of bowls and dishes in Pink. The Japanese Sometsuke Bowl Set is hand painted stoneware made in Japan. This set includes four bowls, each with a different Japanese design, which are 5″ in diameter and 3.1″ tall. Click here to check out the price on Amazon. The Large Japanese Rice Soup Noodle Bowls in Sepia set is ceramic and made in Japan. This set includes four bowls, each with a different Japanese design, which are 5″ in diameter and 3″ tall. Click here to check out the latest price on Amazon. The Sendan Bowl in Poppy Red is ceramic and made in Japan. This item is sold individually, and this particular bowl is 7.75″ in diameter and 2.75″ tall. Click here to check out the latest price on Amazon. You can also purchase the similar bowl in both Blue and Green. The Kotobuki Red Lacquer Round Serving Tray is made from gloss red lacquer and is made in Japan. The serving tray size is 13.5″ diameter, which is a perfect size for serving beverages or hors d’oeuvres. Click here to check out the price on Amazon. This tray is also available in Black. The Kotobuki Black Lacquer Rectangular Serving Tray is made from gloss black lacquer and is made in Japan. The serving tray size is 18.75″ long, which is a perfect size for serving beverages or food service. Click here to check out the price on Amazon. This tray is also available in Red. JapanAddictHQ is a participant in the Amazon Services LLC Associates Program, an affiliate advertising program designed to provide a means for sites to earn advertising fees by advertising and linking to amazon.com. 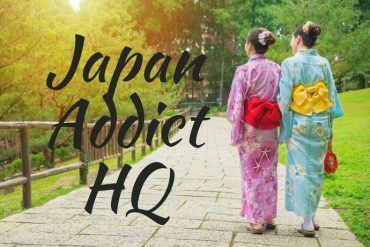 Previous articleWelcome to Japan Addict HQ!